In July, trade unionists and service users lobbied Lewisham Council to protest against the plan to cut millions of pounds from council services. Four months on, the Mayor and Cabinet are meeting to finally agree that cuts package. 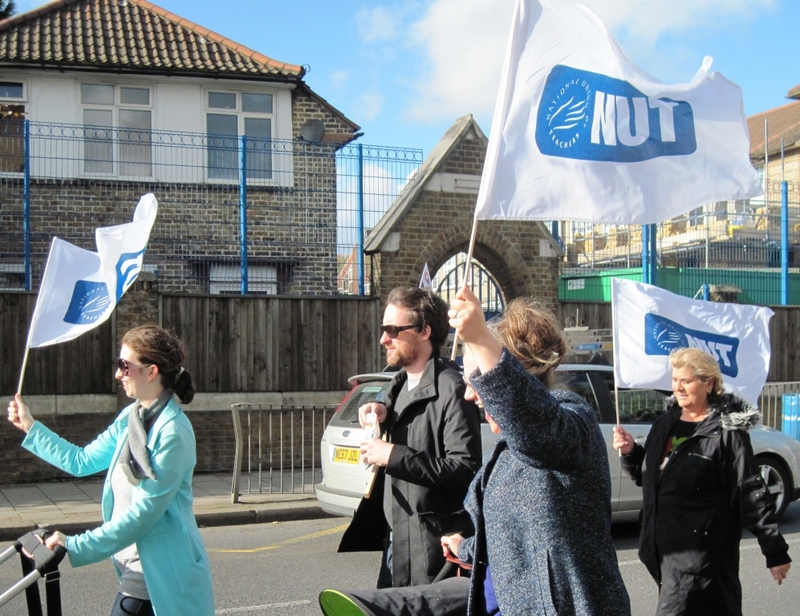 Council officers have written to the NUT and other unions to tell us that the cuts going to the Cabinet meeting will mean 446 staff losing their jobs. But Lewisham already has the worst ratio between job seekers and job vacancies in the whole country. These cuts will make it even harder to find jobs. Five Local Libraries - New Cross, Sydenham, Crofton Park, Grove Park and Blackheath. Community Safety & Wardens - 20 posts to go. Amersham EY Centre - now identified for closure. Health & Safety Team - support for schools cut. ‘Opening Doors’ - advice on how to find work - cut! Cuts to Lewisham’s School Improvement Team will mean less support for schools. The ‘Phase 2’ cuts round could see more services suffer - such as loss of vital support for Traveller Pupils and the possible closure of the Lewisham LLDCentre in Kilmorie Road. Schools need central support - not left to work alone. The Lobby is also being called by Lewisham Anti-Cuts Alliance, Lewisham Trades Council and Save Lewisham’s Libraries Campaign.